Purchasing a new Texas Built Mobile Homes Home is a great first step toward getting into the home of your dreams, but building on your land requires much more than choosing the perfect lot and the perfect home. For instance, your land must be inspected by your builder or contractor before the building process starts. Here’s how to prepare so you’ll be ahead of the game. First, consider what kind of home you are purchasing. A modular home from Texas Mobile Homes Manufactured Homes, Tiny Houses & Cabins & Modular Homes. 210-887-2760 – is different from a manufactured home. While both may seem the same structurally, each is constructed according to different building code guidelines. To build on your land, you must first make sure the tract of land selected is the right size, is suitable and is zoned to allow the structure you plan to build. Modular homes must go through local, state, and regional building codes at their destinations, while manufactured homes are built to Federal building code standards. It may seem like an arbitrary difference, but you need to make sure that there will be no unpleasant surprises or delays because of permitting requirements or deed restrictions or zoning. Before buying your plot, obtain a list of code specifications that pertain to the land. 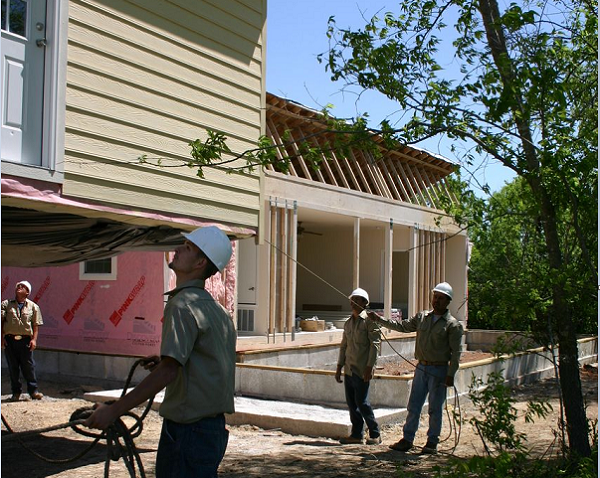 Because modular homes are a permanent fixture securely attached to a foundation, they must be inspected by a licensed local or state building inspector. The good news is that both types of homes offered by Texas Mobile Homes Manufactured Homes, Tiny Houses & Cabins & Modular Homes. 210-887-2760 – —modular and manufactured—are built to the highest standards and specifications. However, the terms are not interchangeable, and you must not get confused as to which type you plan to build on you your land. Be e sure to ask specifically if there are any restrictions to building manufactured homes as well as modular homes. Getting ready to build on your land means more than buying the deed and planning which way you want your front door to face. While Texas Mobile Homes Manufactured Homes, Tiny Houses & Cabins & Modular Homes. 210-887-2760 – can’t control everything, we can ensure that you will get the best home possible to start the next great chapter in your life. Check out all of our unique floor plans and options at PalmHarbor.com and if you want to dig a little deeper, follow us on Twitter and Facebook. 35 years of manufactured home sales, Transport & Service experience. Texas Built Mobile Homes is the right company for you. Manufactured home sales, moving , setup or improvements. ASK ABOUT LAND IMPROVEMENTS. We do it all. vinyl & rock Skirting, relevel, driveways, fences, foundations, FHA retro fit, repairs, general service CALL 210-887-2760 We are a family-owned dealership in Seguin that seeks to bring the best value mobile, manufactured and modular homes to the Seguin, New Braunfels, Austin and San Antonio markets. We aim to serve our customers with quality service that lasts well beyond delivery! ABOUT US We are a family-owned dealership in Seguin that seeks to bring the best value mobile, manufactured and modular homes to the Seguin, New Braunfels, Austin and San Antonio markets. We aim to serve our customers with quality service that lasts well beyond delivery!